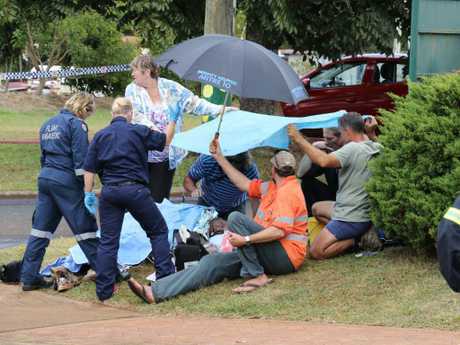 THE man who crashed into a Ravenshoe cafe, causing an explosion that killed two people and injured 19, was suffering from paranoid delusions and had been told by multiple doctors he was not fit to be behind the wheel. 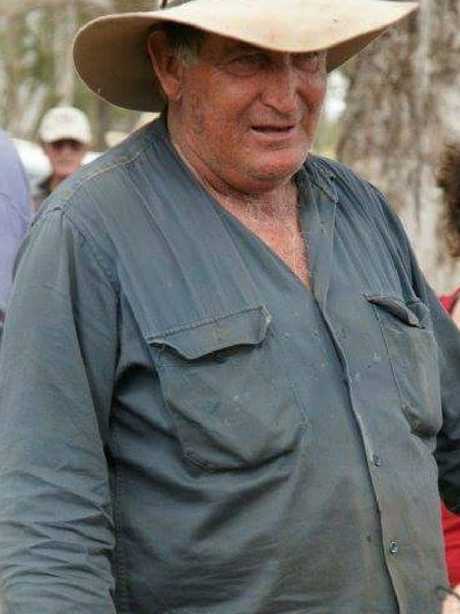 Brian Scutt wrongly believed he was wanted by police and was dying of multiple cancers when he lost control of his 4WD and ploughed into two gas cylinders outside the packed Served You Right Cafe in 2015. But it was his untreated epilepsy, rather than his failing mental health, that a court ruled was most likely the cause of the crash. 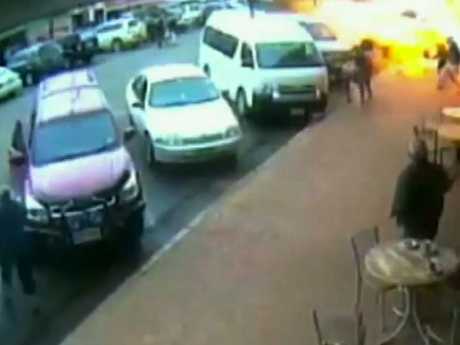 A video still captures the moment of the Ravenshoe cafe blast. A hearing of the Queensland Mental Health Court has determined Mr Scutt, 63, is now suffering dementia and will never be fit to stand trial on charges including dangerous operation of a motor vehicle causing death. The court heard Mr Scutt, who had been suffering from paranoid delusions in the months leading up to the June 9 crash, was driving that day despite being told by doctors it was not safe for him to be behind the wheel. The court heard he had suffered from untreated epilepsy - possibly for decades - and had frequent seizures. He had also suffered from mental health issues - including delusions about the cafe, that the police were after him and that he was dying from multiple forms of cancer. The exploding gas cylinders blew lunchtime diners onto the street, causing horrific injuries to many. Mother-of-two Nicole Dempsey, 37, who had been working in the cafe, died from her injuries. So did 82-year-old grandmother Margaret Clark. Survivors of the cafe explosion have told The Courier-Mail they accept the court's determination, saying they only want to move on with their lives. Chef Noeleen Avenell was in the cafe's kitchen at the time and bore the worst of the blast. 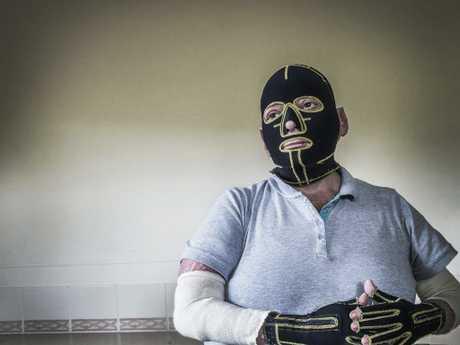 She spent weeks in a coma, months in intensive care and underwent 18 operations after suffering burns to 60 per cent of her body. Chef Noeleen Avenell spent weeks in a coma, months in intensive care and underwent 18 operations after suffering burns to 60 per cent of her body. "What's done is done. You can't change it, you can't bring Nicole back," she said this week. Ms Avenell said she was satisfied that Mr Scutt was no longer allowed to drive or have access to a vehicle. "He can't get into a vehicle, he can't have access to a vehicle, so that's it. He can't hurt anybody else. "So it's over and done with. My life won't come back. I won't get my life back. Neither will anybody else. Brian Scutt will never face trial over the crash. "And there's no point sending him to jail." Fireman Joe Torrisi, who had been dining in the cafe when it exploded, said he still had scarring and problems with movement in his hands after sustaining burns to 42 per cent of his body. "I'm just happy they've taken everything into consideration," he said. "I'm just getting on with life. I have scarring and all that but there's nothing I can do about it. I just move on with life. There is no use being angry." In a recent mental health court hearing, psychologists gave evidence about whether they believed Mr Scutt was capable of understanding the charges against him. He was facing charges including dangerous operation of a motor vehicle causing death and dangerous operation of a motor vehicle causing grievous bodily harm. Dr Pamela van de Hoef said she found Mr Scutt "disappointing" to interview and that he claimed to have no memory of the crash, the explosion or even being told by doctors not to drive. 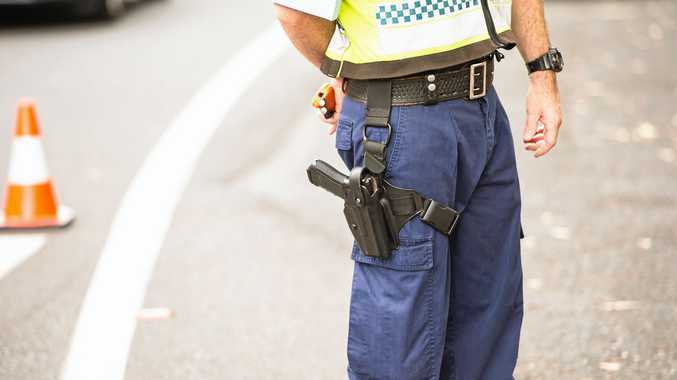 "It's fair to say that in the months, probably, leading up to the incident in Ravenshoe, Brian Scutt had a number of physical and mental health problems," she told the court. This included chronic renal problems, depression and epilepsy. She said Mr Scutt had also developed psychotic symptoms, heard voices and had become convinced that police were investigating him after he and his wife gave a lift home to a young woman in town. He had paranoid delusions about the cafe itself and had even tried to "hand himself in" to police on several occasions, believing they wanted to arrest him in relation to the young woman. "He believed he had cancer," Dr van de Hoef said. "He'd come to believe through April to June that he was wanted by police. He was suicidal. The accounts from the people who knew him, I think it's clear he had some psychotic delusions. "I travelled to Cairns to speak to Brian. I was very disappointed. He could not or would not tell me (what had happened). He claimed memory loss. I think I really did favour that he had a fit at the wheel. (But) I'm a doctor, not a detective." The court heard Mr Scutt also suffered terrible injuries - including severe burns - in the crash. He developed pneumonia while in hospital and doctors found evidence he had suffered minor strokes. When asked whether Mr Scutt was able to understand the charges against him, Dr van de Hoef said: "I was doubtful even about that." "When I interviewed Brian Scutt, I thought he could understand he had charges (against him) but in terms of what the charges meant, he knew people had died, he knew people had been hurt," she said. "I didn't think he had grasped the import of what he was charged with. "He had such poverty of detail in his responses to me. I was usually met with 'I can't remember, I don't remember a thing, I don't know'. "I don't believe he couldn't remember a thing. I just couldn't accept that." Justice Peter Flanagan found Mr Scutt was not of unsound mind at the time of the crash but was now "permanently unfit for trial". He put a forensic order in place preventing Mr Scutt from having access to a vehicle, firearms and alcohol. 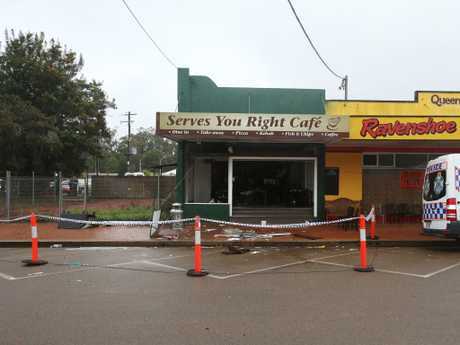 JUNE 9, 2015: Brian Scutt's Toyota LandCruiser crashes into the Serves You Right Cafe on Ravenshoe's main street. JUNE 12, 2015: Nicole Dempsey, 37, who received burns to 80 per cent of her body, dies in the Royal Brisbane and Women's Hospital after her life support is turned off. JUNE 14, 2015: Margaret Clark, 82, dies in the Royal Brisbane and Women's Hospital. NOV 29, 2016: Mr Scutt is charged with dangerous operation of a motor vehicle, dangerous operation of a motor vehicle causing death and dangerous operation of a motor vehicle causing grievous bodily harm. SEPT 7, 2018: The Queensland Mental Health Court determines Mr Scutt will never be well enough to stand trial on criminal charges.